During the month of October, National Breast Cancer Awareness Month, events will be held in Mason County providing information about breast cancer, resources for free or low-cost breast cancer screening services, as well as celebrating breast cancer survivors. POINT PLEASANT — In the coming weeks, hundreds of West Virginians will gather across the state to demonstrate their commitment to fight against breast cancer that has claimed the lives of so many women. Various organizations, led by the Mountains of Hope Cancer Coalition, will hold wreath hanging ceremonies, balloon launches, proclamation readings, and more to raise awareness of breast cancer and call attention to the need for early detection. Activities are scheduled to take place at county courthouses, community centers, libraries, post offices, and other sites throughout the state. The events will include information about breast cancer, resources for free or low-cost breast cancer screening services, celebration of breast cancer survivors, and much more. The Mason County Community Educational Outreach Service is sponsoring a wreath hanging ceremony and Pink Luncheon on Sept. 28. Both events will be held at the Mason County Library in Point Pleasant. The wreath hanging ceremony will begin at 11:30 a.m., followed by the luncheon at noon. The luncheon is held each year to recognize breast cancer survivors, support those fighting the disease, and remember those that have lost the battle. There is no cost for the luncheon. Also, On Oct. 20, 2018, the Mason County Community Educational Outreach Service will be sponsoring their annual Breast Cancer Walk. The walk will be held at Krodel Park with registration beginning at 10 a.m., followed by the walk at 11 a.m. The month of October is declared as National Breast Cancer Awareness Month (NBCAM) which began in 1985. The goal of NBCAM is to increase awareness of the importance of early detection of breast cancer through public and professional educational outreach efforts. The involvement of major nonprofit groups, national cancer organizations, and government agencies ensures that NBCAM reaches millions of people and extends into communities across America. 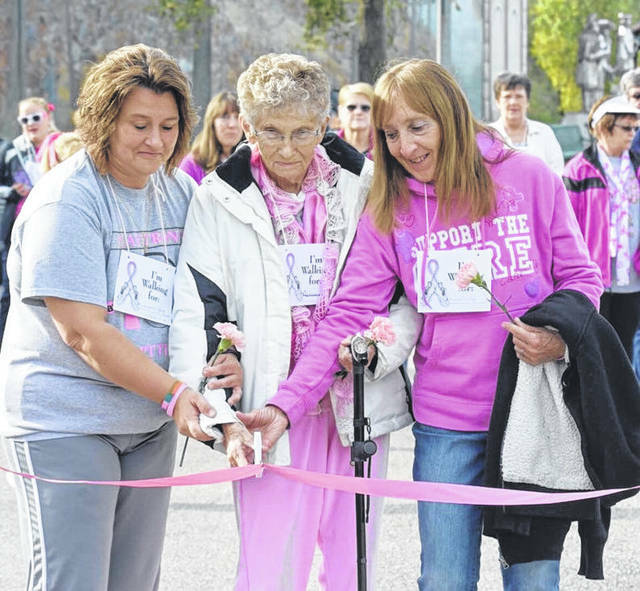 More information on the Breast Cancer Walk will appear in an upcoming edition of the Point Pleasant Register. https://www.mydailyregister.com/wp-content/uploads/sites/24/2018/09/web1_0922.BCA_.jpgDuring the month of October, National Breast Cancer Awareness Month, events will be held in Mason County providing information about breast cancer, resources for free or low-cost breast cancer screening services, as well as celebrating breast cancer survivors.